Username: Required - You can not change your username again. Email: Required - Associated with the new user - Can be updated when needed. Password: Here is where you can set a password for the new user OR after adding the new user will get an email notification prompting them. 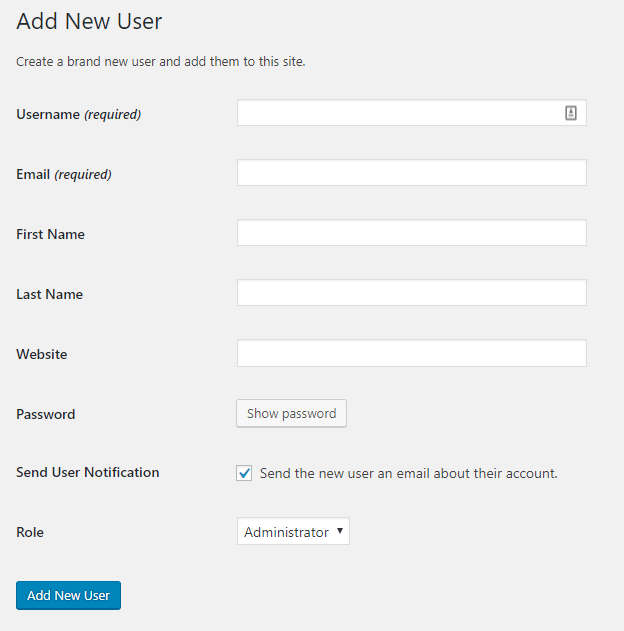 Send User Notification: Make sure this is checked - This sends an email promoting the new user to change their password. Role: Required - Be sure to select the role for the new user. - Can be updated when needed. Subscriber/Contributor = Very limited access - Mainly used for customers or to give access to a customer dashboard.